“Do what you love, love what you do”. It’s been said many ways, but the message is consistent. We’ve all theoretically got the same number of days, months and years in a lifetime. Best to spend as many as possible being productive in an enjoyable fashion, grab ahold of and indulge as many passions as imaginable. This is your one ride/kick at the can, your story, better or for worse, it’s waiting to be told and you alone hold the pencil. Most of us undoubtedly aspire to the above: to live life to the fullest, make our day-to-day something we’re excited about before falling asleep and charged-up for when our eyelids separate in the morning. There’s no time to lose – the minutes are literally ticking away. Grabbing hold of the ring, aligning the planets, and making it all fall into place is a rare talent and air to operate in. Push too hard and it’s likely to elusively slip between the fingers, while not pulling hard enough, you’ll never gain traction and induce ascent. 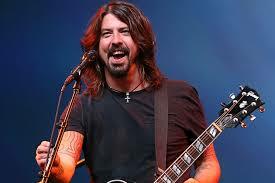 Dave Grohl seems to be such a man. Here’s a guy who jumped in to Washington DC’s punk scene at the peak of adolescence because he was drawn to the raw energy of the ride. Strapped in, he embarked upon a journey he likely never fathomed. In a few short years he’s suddenly in Grunge Rock’s most anthematic band, Nirvana, atop of the world, then the singer blew his head off. Pull out of the music scene, don’t touch an instrument for a while, then record a tape of your own songs, playing all instruments and only give the finished product to friends. It’s 1994, give the ‘band’ a silly name – Foo Fighters – and you’re now the lead singer/guitar player of an entirely unknown rock band. Since then Grohl’s career has seemingly continued effortlessly, going here, moving there, taking some hard turns, and all the way it’s looked like a heck of a ride. He’s been touted by Tom Petty to join the Heartbreakers, played drums on Queens of the Stone Age’s (QOTSA) best recording (Songs for the Deaf), guested with Paul McCartney, and pulled together Lemmy, John Fogerty, and Stevie Nicks, among others for his directorial debut, with 2013’s Sound City, and its same-titled, Grammy award winning, sister recording. And don’t forget he also formed supergroup Them Crooked Vultures with Led Zeppelin bassist John Paul Jones and QOTSA buddy Josh Homme in 2009. How does that even happen? You’re mixing and mingling with rock’s brightest, then not only manage to meet one of music’s true Gods, but convince him to make a record with you. Wow! It actually went down after a fortieth birthday dinner for Grohl at Medieval Times restaurant in the LA area, the connection was made and a record soon followed. That’s magic rarely performed and it must have been a ton of fun. 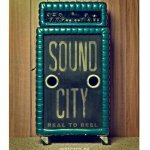 Reportedly worth a plump US$225-million, Grohl’s well past having to think about cash, not that it was likely ever a chief priority. His wardrobe still consists mainly of a black t-shirt and denim jeans, with the odd flannel thrown in for variety and warmth. When opportunity to link-up with seminal artists arises he makes it happen and continually forges new musical paths. 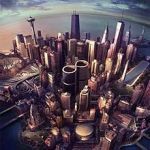 Whether you like the Foo Fighters’ music, he’s to be admired for not sitting on his laurels and continually pushing new creative buttons at ever turn. Foo’s 2011 Wasting Light was recorded entirely using an analog system (tape), shunning modern digital tools, reaching for a ‘true’ sound, as was only possibly back not so long ago in the seventies and eighties. 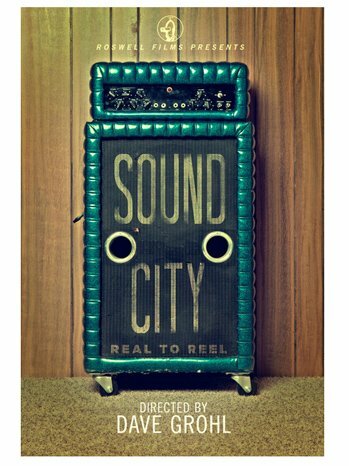 His Sound City documentary highlights this process featuring the mythical Neve soundboard that made so many artists sound so good. Adding to the resume, he delivered SXSW’s Key Note Speech in 2013, took a quick breath, then started recording again. November 10, 2014 sees Foo Fighters release their eighth studio recording, Sonic Highways, which pushes the artistic envelope further yet again. Its eight tracks were recorded at eight iconic US studios and is accompanied by an eight-part HBO miniseries by the same name. And yes, Grohl directs (Emmy?). There’s apparently still no time to waste, lack of rings to grab, he’s doing what he loves and loves what he does. Reminder to Self: remember to strive to do the same at every junction and turn – there’s not a moment to spare. Nice write up Scott. Met Dave (we are on a first name basis) at UBC in ’98 where he gave me an autograph inside his trailer. One cool and laid back dude! Jay – envious you met him and thanks for reading!